Our weather is always tropical, our waters azure blue and our beaches pristine! If you are considering our lovely island for your upcoming summer vacation, winter getaway or your new dive destination, let me help you narrow down your search for accommodations. Roatan offers a wide variety of of accommodations from luxury resorts, beachfront hotels, B&B’s, private homes , bungalows and hostels. To help you get started I have put together a list of areas with descriptions. Once you choose which part of the island is best for you it will be much easier to find the perfect place to stay. West Bay: Is one the most popular among tourists. It’s crystal clear water, fine white sand and a coral reef within a 50 feet distance offers the perfect setting to relax in the sun with a good book and a frozen Monkey Lala. 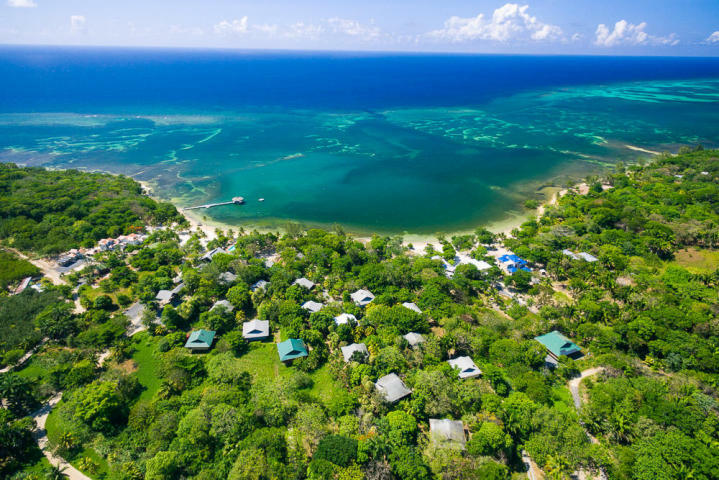 There are also many extracurricular activities available such snorkeling, dive boarding, parasailing, paddle boarding, glass bottom boat tour, zip lines etc…..
Several property owners choose to market in these two websites VRBO.com and AIRBNB.com you will find many Roatan condos and homes listed here. West End: Is another popular tourist area just a boat taxi away from West Bay. It has a newly paved road filled with local businesses including small hotels, bars, restaurants, gift shops and dive shops. This promenade makes for an easy, enjoyable walk and is the best place to grab a bite, bar hop and meet people. 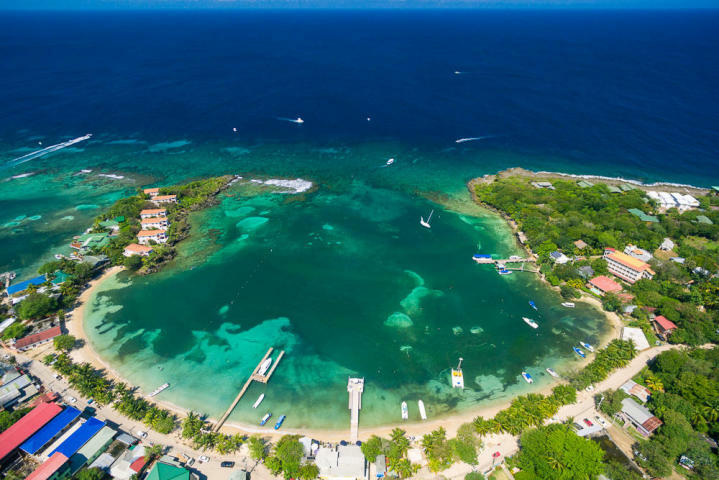 Its Half Moon Bay Beach with the reef along the side is ideal for beginner snorkelers. 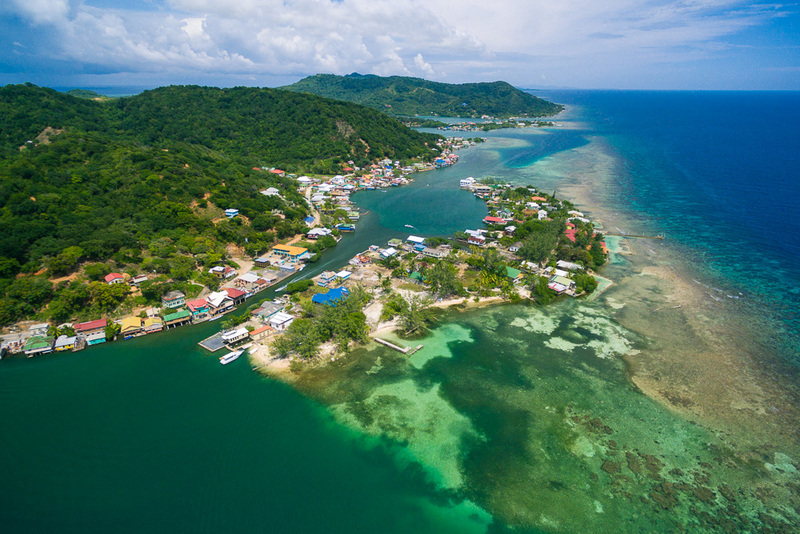 SANDY BAY: Is conveniently located between West End and Coxen Hole. This community location is home to both locals and expats. The quiet beach is great for snorkeling and diving during the day, a long walk in the afternoon and a spectacular sunset in the evenings. FRENCH HARBOR: Is a booming business community with banks, grocery stores, hardware stores, shopping centers and more. Although there is not a public beach in French Harbor, most of the resorts and hotels have a beach or swimming pool to enjoy. Many homes in this area offer spectacular ocean views. EAST END OF THE ISLAND: If you’re truly wanting to get away from it all, this is the part of the island for you. With exquisite beaches with white sand, turquoise blue water and cool breezes the east side of Roatan is perfect for a quiet relaxing and rejuvenating vacation. 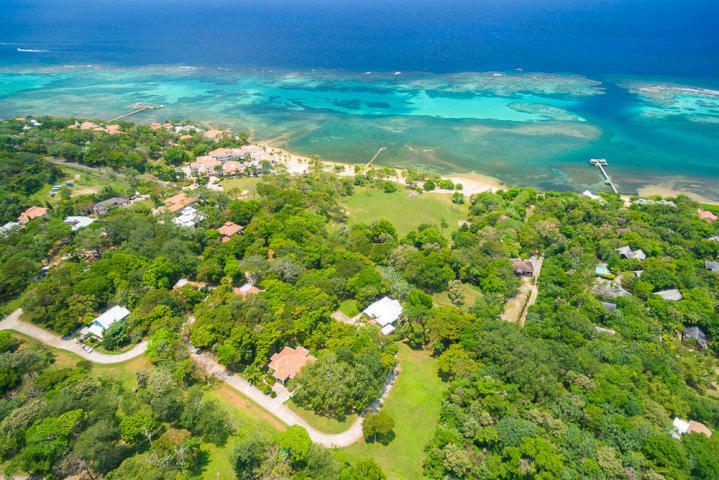 So whether you are wanting to relax on the beach, dive along the reef, enjoy beautiful sunsets or get away from it all, Roatan Bay Islands has a place for you. Our door is always open and you are always welcome to come stay with us!